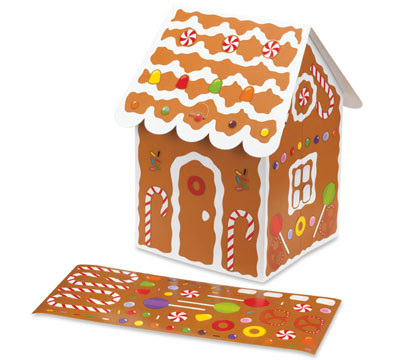 Do you think I'll make a better Gingerbread House with this holiday card and its stickers? With luck it may end up like this. Lots and lots of luck, that is. And a steady hand. Hmm, don't hold your breath. I think I'll just send them out. Available from MoMA at a huge discount if you buy any three packs of cards and are a member.